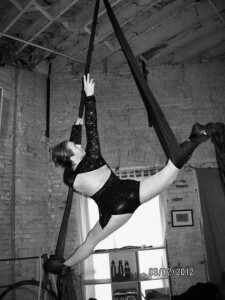 The Last Carnival’s Silks 1 class is an introduction to aerial fabrics class that will prepare you to fly into acrobatics and dance in the air. So come on down to the circus school and learn the fundamentals of aerial silks: your first step to becoming an aerialist! For the first time student, you will learn the basics of aerial conditioning, climbing, fancy descents, foot locks, hip keys, arabesques, inversion practice and more! The instructor will lead you through flexibility warm ups as you learn at your own pace with other beginners. Often the biggest concern of beginners is that they will not have enough upper body strength to execute moves. 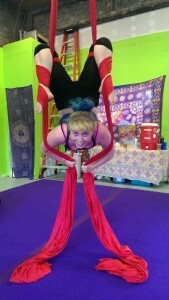 Silks class is designed to help build your upper body and core strength. This class truly does give you a full body workout while giving you a taste of what aerial movement is all about. This is a 60 minute class. Prerequisite: none. Drop Ins Allowed. $25/class. When you sign up and prepay for the whole 6 week course the price per class is discounted to $20/class. Register online today though The Last Carnival calendar page. This Class is for students who know the basic moves, and are still working on gaining the strength for moves in the air but are comfortable with inversions and movement from the ground level. New moves will be taught each week, giving the students a wide vocabulary of skills built on the basics of what was taught in previous classes. This is a 75 minute class. Instructed by Sofia. Prerequisite: Silks 1 and permission from Sihka. $30/class. When you sign up and prepay for the whole 6 week course the price per class is discounted to $25/class. Register online today though The Last Carnival calendar page. This class is all about understanding movement. In level three class students will be invited to come to class with their own ideas and movement styles and you will work closely with the instructor to learn how to break down movements in a safe environment. Students will be learning what makes moves safe or not and how to work through movements. 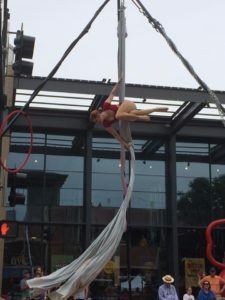 Advanced Aerial Silks students will be able to start to see the grace and beauty of their movements in this form of circus artistry. 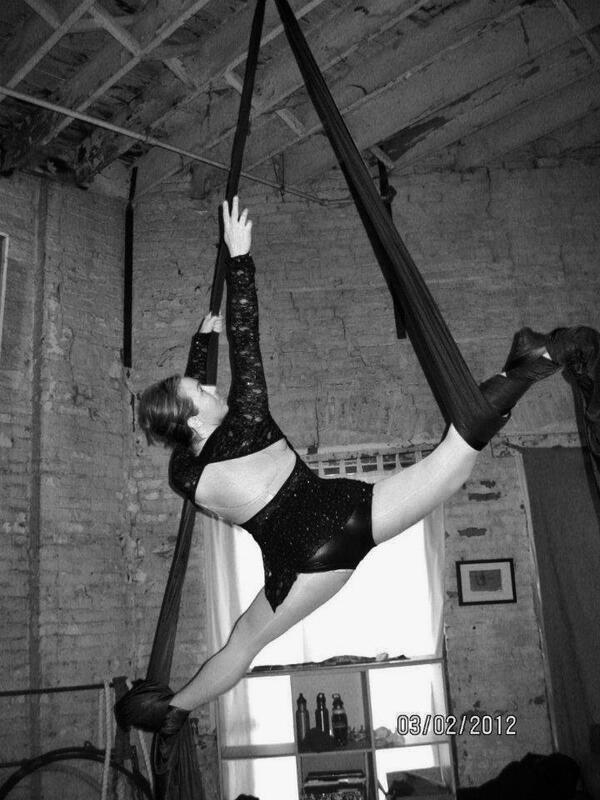 Upper level aerial silks classes are for those students who have mastered the basics and are ready to move onto some next level circus fun. 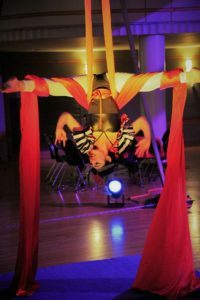 These are fitness, dance, acrobatics, and circus skills workshops like no other. You will gain strength, flexibility, balance, and agility. Students will explore transitions, wraps, inversions, drops, and movement series training and choreography. For those students who are comfortable in the air and are interested in building sequences, techniques, and presentation skills these workshops will help you to fly into your true potential! This is a 75 minute class. 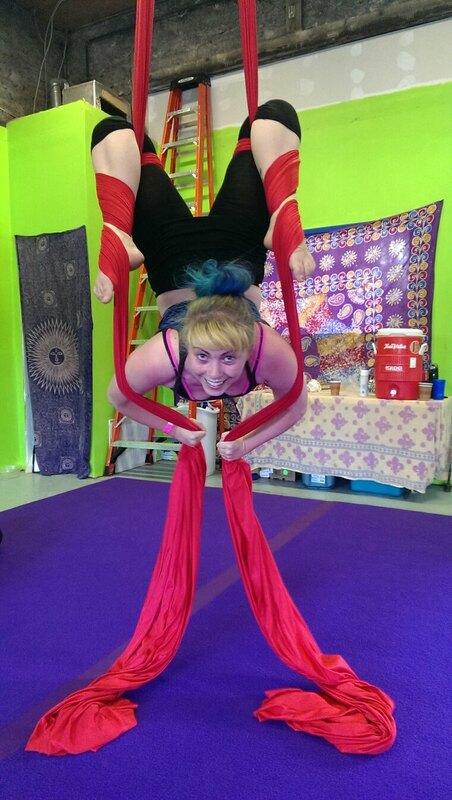 Prerequisite: Silks 2 and permission from Sihka. $30/class. When you sign up and prepay for the whole 6 week course the price per class is discounted to $25/class. Register online today though The Last Carnival calendar page. Aerial Silks are easily the youngest of the aerial arts, first appearing in a French Circus School 1959. As a final project, the school would assign students to present their existing senior act in a completely new way. One web student found a bolt of fabric in the local bizarre, and presented her act completely on these fabrics. History is from a newspaper report only – the school has no record of which student did this. Aerial Silks were practiced occasionally by others between 1959 and 1998. Over that time, the tail from the knot used to secure the fabric became a second leg of fabrics and , and modern silks were born. While silks have existed since that fateful spring day in 1959, it was not until 1998 when Isabelle Vaudelle and Isabelle Chassé performed separate silks acts in Quidam that the act became well-known.